Posted in Forecast Research News, Research News on September 7, 2011 by Susan Cobb. 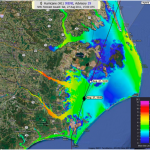 The Coastal and Inland Flooding Observation and Warning (CI-FLOW) project began producing real-time 84-hour simulations of total water level in coastal North Carolina from Hurricane Irene on August 23, 2011. Posted in Forecast Research News, Research News on August 19, 2011 by Susan Cobb. 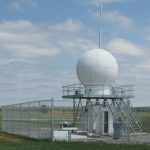 Monthly Weather Review has published the results of an observation system simulation experiment (OSSE) that shows how measurements from various hypothetical remote-sensing networks would impact weather analyses and forecasts. Posted in People News on August 3, 2011 by Susan Cobb. Posted in Collaboration, Research News, Warning Research News on August 2, 2011 by Susan Cobb. 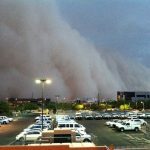 An NSSL algorithm developed in collaboration with Arizona’s Salt River Project (SRP) alerts the power company of the potential for a dust storm. Posted in Perspectives, Photo of the Month on July 21, 2011 by Susan Cobb. 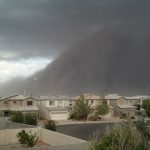 A wall of dirt engulfs the Phoenix metro area for the second time in July, 2011. Posted in People News on July 21, 2011 by Susan Cobb. 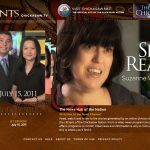 NSSL hydrometeorologist Suzanne Van Cooten is featured on the Chickasaw Nation tribal news channel this month. Posted in Collaboration, Forecast Research News on July 21, 2011 by Susan Cobb. NSSL co-hosted the Southern Thunder 2011 Workshop at the National Weather Center in Norman, Okla. last week along with the NOAA Storm Prediction Center and the University of Oklahoma. Posted in Radar, Research News on July 8, 2011 by Susan Cobb. 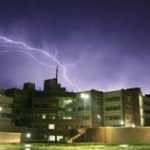 Researchers from NSSL and CIMMS have published the first study to combine rapidly-updating phased array radar data with high-resolution lightning data to study lightning behavior in a hail storm.